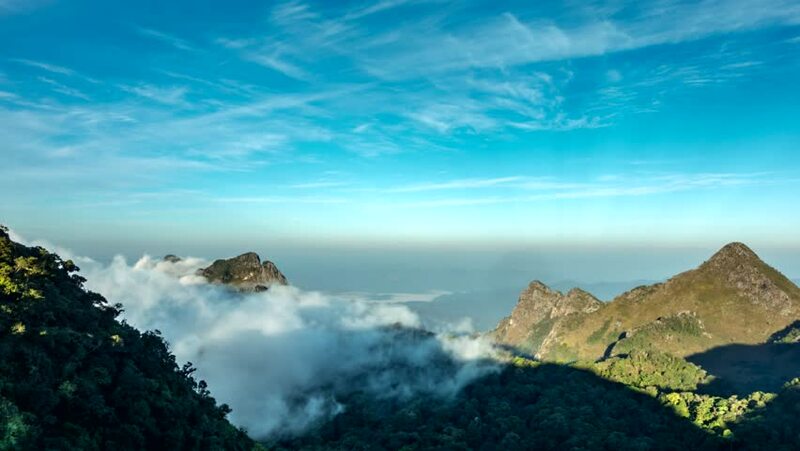 Time lapse 4K, Landscape of rolling clouds over mountain view from the top Doi Luang Chiang Dao Chiang mai, Thailand. 4k00:10Time lapse. Seoraksan National Park is covered with fog on the summit in the morning in South Korea.